The wife of BART police Sgt. Thomas Smith Jr. alleges in a federal lawsuit that the department repeatedly denied his requests for additional training or use of its SWAT team during high-risk searches before he was inadvertently shot dead by a colleague in a search in Dublin last year. The suit was filed by Kellie Smith, also a BART officer, in U.S. District Court in San Francisco on Friday. It alleges that BART's police department under Chief Kenton Rainey and Deputy Chief Benson Fairow has a practice of denying the use of trained SWAT officers for potentially high-risk building and probation searches. The suit alleges that BART police officials also denied training requests by BART detectives and officers who were required to do building and probation searches without the assistance of BART SWAT officers. Thomas Smith, 42, a 23-year veteran at BART, was fatally shot when he led a team of eight officers in a search of a robbery suspect's apartment at 6450 Dougherty Road in Dublin at about 2 p.m. on Jan. 21, 2014. 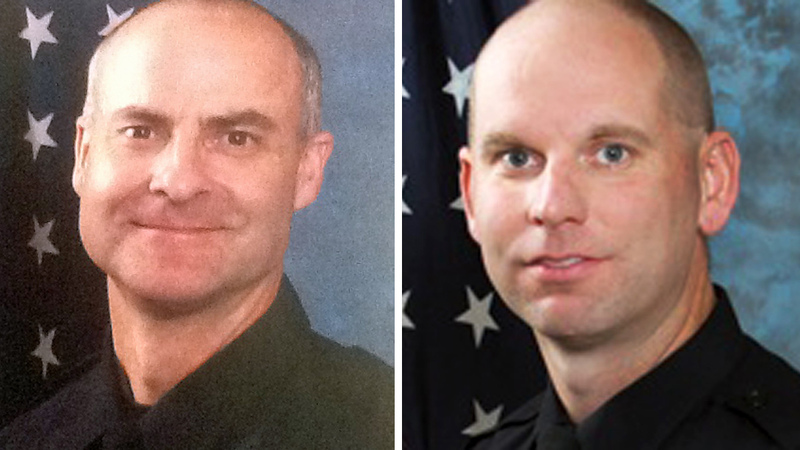 Detective Michael Maes (left) fired the fatal shot on Jan. 21, killing Sgt. Tom "Tommy" Smith (right), BART Police Chief Kenton Rainey told reporters at a press conference on Monday, Jan. 27, 2014. Smith was killed by Detective Michael Maes, a law enforcement veteran with 26 years of experience as an officer who said he mistook Smith for an armed suspect during the search. Eustace de Saint Phalle, the attorney for Kellie Smith, alleged that BART failed to provide proper training to Thomas Smith and other detectives for building and probation searches and BART management was aware of the lack of training. The suit seeks an injunction to prevent BART from forcing employees to perform tactical operations without having the necessary training and to force BART to implement changes to training and policies that will promote officer and public safety. The suit also seeks unspecified damages for Smith's family. "Smith realized that the dangerous nature of probation searches mixed with his detective unit's lack of proper training created a serious officer and public safety issue," de Saint Phalle said in a statement. According to de Saint Phalle, Kellie Smith wrote an open letter to BART directors and police officials saying that because of the repeated denials for training requests, Thomas Smith asked her to sue BART and Fairow if anything happened to him. Kellie Smith said in the letter, "My husband's words will stay with me forever. I cannot let this situation and his concern for his fellow officers go unanswered." Dana Smith, an attorney for BART, said in a statement, "The BART family continues to mourn the loss of Sgt. Smith." 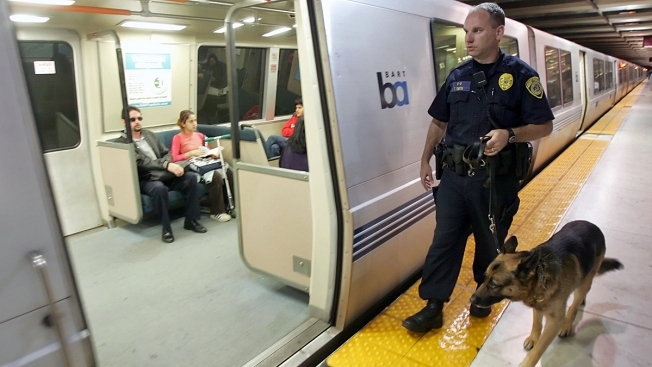 "BART's top priority is the safety of its officers and the public," Fox said. "The tragic shooting occurred despite the extensive training the officers had received, which far exceeded the standards required."